The reason why Coco is a movie hazard and it sort of annoys me so delete the movie because I unrated Coco. Always works and has interesting shows I do have a recommendation though. Netflix should add comments that way people can hear what other people think about a show. Every time I’m watching a show and my friends or family don’t watch the same show I am dying to tell someone what I want to happen or how I feel about this scene. Yet again just a recommendation I really hope this is added! I don’t know what happened but before the update I was able to cast movie or tv shows from my phone to any tv now it just won’t work anymore it keeps saying “casting” forever then it disappears after and it doesn’t even show me what my tv is playing it’s just blue and it’s stupid. Add a mark as viewed/played feature in the app so users can easily define what they’ve already seen. I love Netflix! Can you add Miraculous season 3 there please? I have been waiting forever for my fave TV show. Please and thank you in advance! This app is awesome but could you please get a new season of wakfu on Netflix! There should be more of a variety of shows, not just Netflix produced films and shows. That’s why Hulu has better ratings, they give their customers what they want rather than pushing their products onto the consumer. I’ve tried everything I could think of on my Apple TV. Reboot, reinstall, reset, reboot router, etc. All customer service did was redirect me to the very same page telling me to do all of that. So annoying. If you are watching a show and want to pause it. The app will let you half the time. It glitches and becomes annoying. Not letting you stop or pause it. Better all the time. That’s the theme for my new Netflix update review. Let’s MNGA!!! Haha please keep reading?! So, Netflix has auto play, iPad/iPhone has Siri and Siri has Shortcuts. Not only that devs can offer a shortcut creator. So here’s what I’m suggesting, I go to sleep to Netflix on my iPad, I have ptsd and listening to Frasier is better than memories of my childhood, so I have a sleep mask on and memorized where the play next is located based on the position of my iPad in its cradle. This is a hassle, but I make it work. Meanwhile there’s an auto play which stops half hour episodes ever couple episodes to ask if I’m still there. It used to do it when you pressed the screen but that was finally fixed. I’d made the point that if the Netflix app detects input then it should be coded with the logic to recognize that a human is still there. 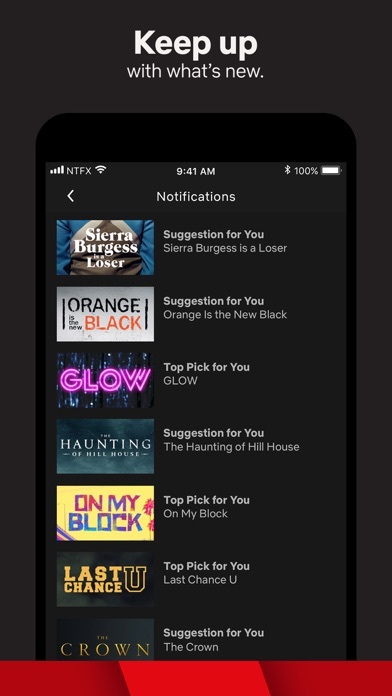 So let’s move Netflix into 2019, my suggestion is an audible message asking are you still there that triggers an event for Siri to listen so users can say yes, I’m still here. And the episode continues. And just as one final suggestion. Put the “Are you still there between the episodes instead of 3 to 5 minutes into the show, there’s nothing more annoying than over attentive wait staff and that applies here. The sound doesn’t work when I use my iPhone HDMI adapter & hasn’t work since before the last 3 updates. I love Netflix but I watch like almost all the anime. So Netflix please add more anime! Look who’s back was a great Movie how what would happened if hitler was alive and what he reaction would be when he sees how Germany has change and I want that movie back on Netflix. There are a lot of movies and shows on their, but Netflix is starting to remove a lot of shows. And with the new update it doesn’t tell you how long it’s going to be available. One day it’s there then the next day it’s gone. I don’t like how it’s only limited to 5 accounts. Something I think you guys should change is when you’re continuing to shows you started watching there is the continue watching section of all the shows that you started watching and sometimes you don’t like the shows and you just want to take them off of the list to like to be more organized and do more stuff make more room for the other shows but you can’t take them out of the continuation section so maybe you guys good fix that and there’s also a Watch again section and maybe you’re not proud of some of the things you watch or maybe just don’t want nobody else to see it and it would be good if there was a button to take it off that list. The shoes in the app are very entertaining. If they add the old Disney and Nickelodeon shows and movies back it would be a better app, well for me at least. Many people that use the apps have probably seen shows and it would bring back their childhood. I’d give 5 stars but I’m holding one ransom until the keyboard for the search function for smart TVs is switched back to the user-friendly version. Kthx! They are always having trouble loading movies so you can’t watch them until it is fixed. I was debating whether netflix was worth the 15$ dollars every month, but after watching the 2 seasons of the OA I’m proud to say that I’m a big fan of Netflix! Please release more shows as mysterious and rewarding as the OA! Love the cast too! Soooo good! I get that some people like this but For others it’s horrendous. You should care to add at least one trailer to each title even if it is not netflix original so we do not have to go to youtube paste the title and search for a trailer That’s really disturbing when streaming on smart tv!! Yes. The answer is always yes. When will this annoying prompt have the option to be disabled??? 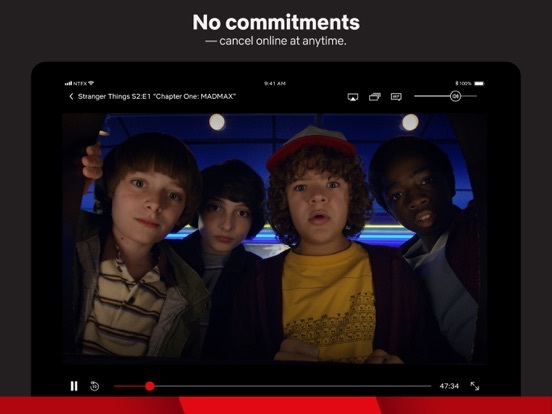 You literally can’t watch Netflix on your phone or tablet without installing the app. I don’t want to install the app on my phone to watch Netflix I want to use my browser. I don’t understand why I don’t have the option to Airplay Netflix anymore. I love this app even though I wish you guys would get current seasons a little faster. They’re trying to force their Netflix originals down our throats so their actual movie/TV show selection is garbage now, considering 90% of Netflix originals are a waste of money. I love Netflix series but I hate how they put you on hold. I was just watching no good nick and the girl said something and then there was no more sessions so if you don’t like being put on hold until another one comes out like me I do not recommend watching Netflix series. I wish they never put you on hold. Autoplay previews are intrusive. Painfully slow loading on AppleTV before choosing person on account, then jerky, blank thumbnail, browsing. All other streaming services have no issue. I believe it is trying to preload the autoplay previews at the expense of usability. Disrespectful, literally minimizing the credits. I have loved & watched Netflix 4 a looonnnggg time now. Since way back in dvds only days! The streaming service had 2 get their kinks/bugs out 4 like the first 2yrs then it stabilized. No real big complaints. But NOW... u’ve jacked the price up AND stripped it down so much we might as well not even have this service. Serious choking the stream. No. This is NOT how u get & keep paying customers. I will cancel my subscription if u keep doing that stop loading @ 25%, with that circle just spinning & spinning around that 25% indic8or. I would use Netflix so much more if My Hero Academia were on here. It’s the most popular anime at the moment so I feel like so many people would watch it if it were included in Netflix. My only wish is that there was a “shuffle” option. So you pick The Office and hit “shuffle” and it will just play random episodes. I need a season 2 of my first first love !!!!!! Please!!!!! I’m bagging you !😭😭💜😭💜 it cant end like that !! This is the only app that has issues with chromecast!! Please fix it! The main reason I give this one star is because video clips automatically play without giving you the option to turn it off or disable it. I just want to read the descriptions in peace and move on to the next. Unfortunately, a video starts autoplaying and let's everyone within earshot know I'm looking at the Netflix app. STOP IT!!! I hate how Netflix starts playing everything automatically when watching on the tv. Sometimes I just want to read the description but it starts automatically. I then scroll away and come back to read the rest. This is an annoying feature and would love for it to no longer be. If we want to watch a preview, that option is already there for us. ill just switch to Hulu..
Mos- all of the movies are incredibly boring. Did you really have to get rid of drake and josh? Family guy? American dad? Some of your Netflix originals are good like, Chilling adventures of Sabrina Spellman.. that’s the only good show that Netflix has.. and now you’re bringing up your price? This app is definitely a masterpiece for all of their series, movies, shows etc., But I’d have loved it even more if there was more security while logging in new devices like sending a verification code to a registered phone or an email. Overall Netflix is a great app, except that recently I encountered my first problem with it. It appears that there are “New episodes” for a show, Jane the Virgin, and even says “Watch season 5 now” but when you click to watch it, it doesn’t show up. There is only up to 4 seasons and there is no season 5 up yet. Can you please add all of the Twilight and Hunger Games movies? I like Netflix but they took away my favorite show slugterra I watched it over and over again now I have to download other apps. I like Netflix because there’s a lot of shows and a lot of movies and series. 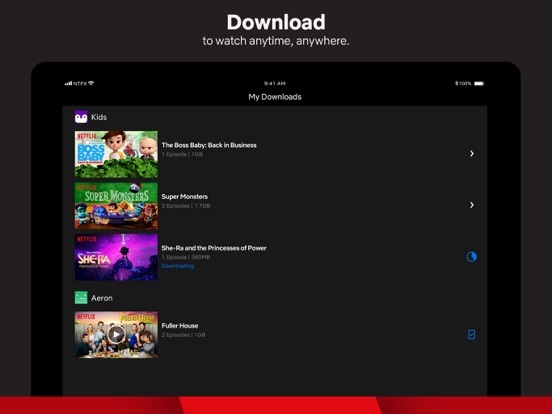 I don’t know if it’s free or not because on TV it’s free but on like iPhone or iPad I don’t know if it’s free or not .I think you should get Netflix if you’re thinking of getting it because it has more movies and shows them the other apps. I recommend you to get it because it has more movies and shows and if you don’t wanna get it because it’s not free or there is not enough shows. So this is my opinion. The service seems to only have Hindi and Spanish films. Not paying for that. Good stuff, needs a lock screen widget to skip the intro of a tv show while casting. Other than that, it’s Netflix. With the recent update they stop supporting airplay. But they still support google chrome casting. They say because they’re not able to implement airplay. Which makes no sense since every other streaming service has been using airplay perfectly fine. I might have to cancel my subscription. I don’t see any Easter movies for kids anywhere and it’s annoying, so put Easter movies and TV shows on at Easter time! I have watched the clone wars for a long time but I took a break for a while and when I came back I found out that it was gone. If possible please put it back and if not then why did it get taken away? Thank you! Bad app. I can’t even do the only useful thing this app is good for. Should he taken down of App Store! I like it but add “Bad Girls Club” please! 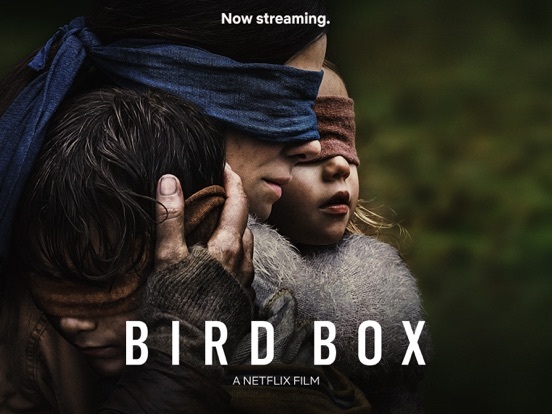 I love Netflix, my favorite show is “The Fosters” and my favorite movie is “Bird Box”. I do love that I have many choices between movies and Tv shows to pick through. Their are lots of different types of movies, it’s all well organized and I love that I can put some shows/movies in my list to watch later or something. I also like that Netflix gives everyone a choice to set it up for kids, so they can’t accidentally click on something scary. I am disappointed though because when you guys had a deal that if I made an account I could get a month for free and cancel anytime. So I tried it out, and you guys charged me for that month, so I wasn’t happy about that. I also would like to say when I called customer service..the person I was talking to was very nice and helped me with all of my questions so that’s a plus. One request, can Netflix add “Bad Girls Club” please. I have searched and searched for this show and there was one website I found it on but I would have to pay $3.99 for each episode and their are several seasons. Not worth it. So please add “Bad Girls Club”. No one else has the show and I’ve seen plenty of reviews on here asking for it to be put on. I’m hoping you do. Thankyou in advance! I can’t stand browsing through titles anymore looking for something interesting. If I pause too long I have to deal with the noise and video loop. Music/noise is worse, but give option to stop both. Why must one click done and then ok after entering ratings passcode override? 2 steps? It wasn’t great, but the app with older apple tvs was better at inputting passcode even before the added step. Why with the TVOS app can I not always see all of the description of a specific episode or movie including language spoken when scrolling through episodes. I like scrolling through episodes current way better then old way where i didnt even know what season I looking at unless i scrolled to top. Just allow ability to get all the info. Put back a way to better exclude things on main menu I will never watch. For example I only like stand up comedy in a club with a group of people watching together live I will never watch stand up comedy on Netflix so please quit showing them to me. Others may love them. Make it easier for both of us. I have tried to give thumbs down over and over. You used to be better at putting shows in menu I may want to watch without searching or being hidden by a ton of stuff i will never watch. Non-app issue. Quality Content has been lacking. Could be better, but it’s pretty good. The only problem I have with Netflix is that all of the original shows and movies are being taken off of it. For instance, Mean Girls, Starstruck, Another Cinderella Story. Yeah, it’s probably to add more new shows/movies for the younger kids and the adults, but what about everyone in between there? I’m just saying, these were a part of my childhood and now they’re being replaced by other shows that just aren’t as iconic. You can’t just speak to the adults and kids, you’ve gotta speak to the teens too. Thad not really happening by taking away our childhood shows and movies. As a teenager I have trouble finding something appropriate for my age. Sure, I could watch a rated R movie or a TV-MA show, but I’d rather watch something for people my own age. I’d rather save watching sexual or violet bloody movies until I’m older. That being said I’d also rather not watch something rated TV-Y or pg. Can’t you have more variety in between? I can tell you a majority of your viewers are most likely teenagers to young adults. The adults have their shows, the kids have their shows, where are the teenager shows and movies? Just a suggestion, but it’s probably be useful for your audience. Alright, now don’t get me wrong, Netflix is a good app but it changes to much. They keep making weird, garbage shows and movies, and I’m not saying all are garbage but there are definitely a lot of them. They also keep taking down the best shows and movies and personally, I don’t know why. You get rid of so many shows and it makes me sad. A while back I was able to find hundreds of good kids shows that played an important role in my childhood and even now they still affect me. Shows like “Avatar: The Last Airbender” and “Samurai Jack” were on Netflix for so long but were gone a few months later. I get mad as well when seasons and episodes of shows are missing and these are only some of them: “Total Drama”, “Zig and Sharko”(my little cousins favorite show), “Naruto”, and the list keeps growing. Also, I know that some types of anime have an English version and since I’m lazy and a slow reader, when I find an anime that I do like it probably only has subtitles. The last one you don’t really have to pay much attention to but I would appreciate it if you did but besides all of that the app itself is good. Okay so, I’m your typical young viewer right? I share a Netflix account with my siblings. One problem is, there aren’t many movies that appeal to me. I like watching Netflix and all, but there isn’t many movies that I can find that I like. I like things like horror, and more. But there isn’t many movies that are horror and that 10-12 year olds can watch on there! And it makes me disappointed that there isn’t any. A lot of the audience my age on there are also having the same problem and are disappointed about it. It really appeals to me and horror is what I live for. And also some of my friends are having the same problem. They want to find horror movies and stuff but they can’t find any on Netflix that are okay for 10-12 year olds to watch. Could you guys try to find horror movies that are PG or PG-13? (PG-13 as in your typical horror Movie but no cursing) that would make a lot of the young audience on Netflix happy. Even if the movies are old, it don’t maattterrr!!! Thanks! That would make a lot of the younger audience who LOVE horror very happy!!! 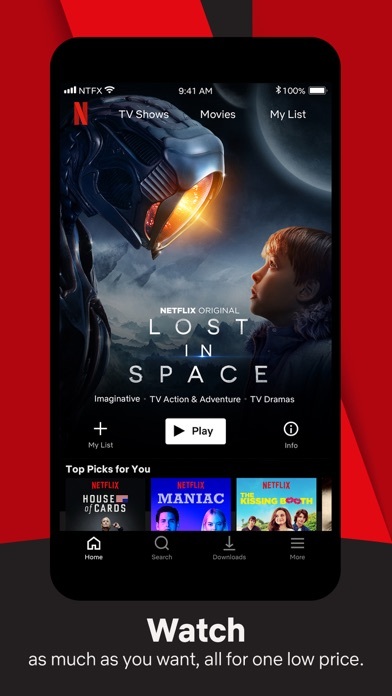 Netflix's decision to adopt support for 3d touch on iOS was a good move. 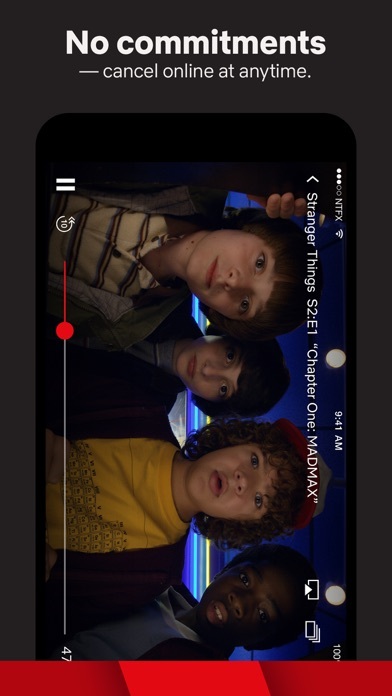 Since then, I have gladly used the "continue watching" option that appears when force touching the Netflix icon. However, lately this option, rather than continuing the show at the top of my "continue watching" list, starts playing a show that I have never watched, and which doesn't appear in my continue watching list. To illustrate, if I open the Netflix app, the first show under continue watching is Travelers. However, if I use the 3d touch menu's "continue watching" option instead of opening the app, Sons of Anarchy begins, annoyingly, to play. Neither my profile nor any other profile on my account has watched this show, so I am confused as to why it plays in this situation. I am leaving a 1 star review because such a simple, basic feature should be completely free of glitches. It's simple. If I use 3d touch to continue playing a title, the title at the top of my continue watching list should play, not a title I have never watched. If a professor asks for an essay about free speech rights and I handed in an essay on how great cockatoos are, I would receive a failing grade for my impertinence. That's analogous to what is going on in this case, and my rating thus reflects that. I don’t know who comes up with these updates for the app but they’re terrible. First it was the taking away of the star rating. Which means I can’t get an idea on whether the show/movie might be good before wasting my time watching. Now the latest nonsense of taking away the brief description of what the show is about. Instead it’s just a list of genres the show/movie falls under. I, like many other people, enjoy many different genres of shows and movies. For example I’m not going to watch a movie simply because it’s an action movie. It’s the same even for documentaries which makes even less sense. Say a documentary is on Egypt. How can I tell it’s going to be something that I’d be interested in just the few genre and descriptor words? It could be about things I already know about Egypt or it could be talking about new discoveries and facts I’ve never heard of. Whomever is making the decision to allow these ridiculous updates is awful I’m not saying fire this person but them and everyone else involved in these updates should be allocated to a new task within Netflix. My account alone isn’t keeping Netflix afloat so this isn’t any threat but I’m so close to canceling my account. It’s getting less and less worth the money I’m charged for it. It's good. I honestly think we should have more choices for movies and shows. They have things from the 90's there, that's not bad, honestly it's not, but they stay there for about a year before they move it. And I recently starting watching a show called Miraculous Ladybug and it only has one season and I can’t find it anywhere else! I was counting on you! I thought you’d at least have two seasons of it, because I know for sure that it does at LEAST have two seasons! And if it has others, why aren’t they there? Recently, Netflix has been a bummer because I can’t find anything to watch! 😭😭😭 Miraculous Ladybug is such an awesome show and I’d really appreciate it if you could add more seasons for this show and other shows. And add more recent, more popular things, will ya? I’m sick of seeing things that were around long before I was even born and I either can’t watch a lot of them bc they’re not for my age or they seem boring as heck! I’m very sorry to have to say this, but you’re getting three stars from me. I’d love to improve this rating, if you improve your selections. But other than ALL OF THAT, it’s great. 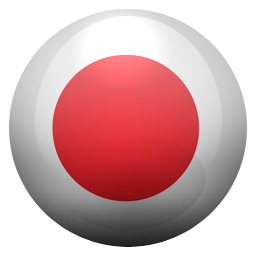 Used to be our go-to app for streaming even though we subscribed to others. Content was great, navigation was intuitive, and the app worked exceptionally well. Unfortunately all of the above has changed. We rarely watch it. The content has taken a real dive in quality. Fewer quality movies, too much reality tv trash, and too much low quality foreign programming (the better quality stuff is on a different streaming service). There used to be a rating system in the app that affected the kinds of shows that show up in your queue. Really miss that. And the navigation changes are terrible. Talk about fixing something that wasn’t broken!! 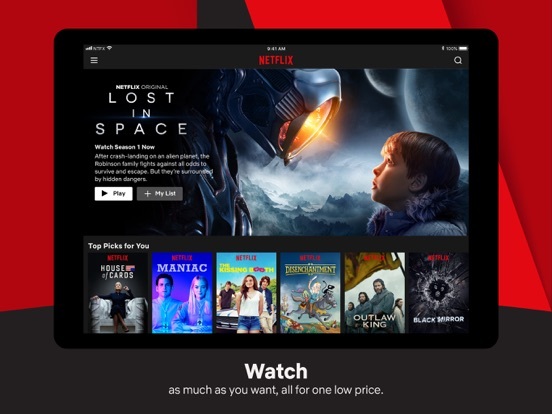 The search tool and other functions were moved to a sidebar - as if someone said “let’s copy the worst elements of browser design and slap it on our app.” And the annoying “still watching?” window that interrupts streaming should have an adjustable setting - especially after the new April 2019 rate hike. It will make Netflix the most expensive service we stream. 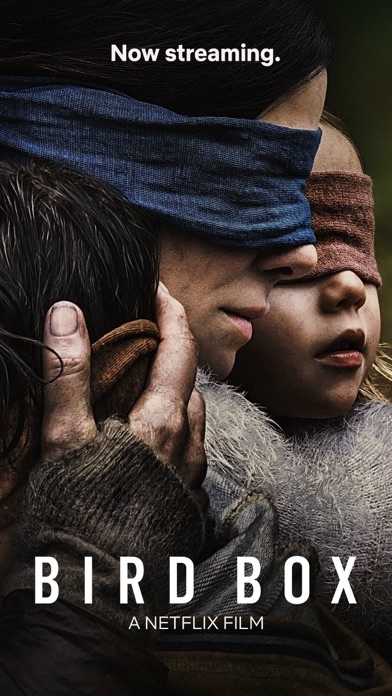 Luckily there’s growing competition in the streaming space, and 2019 is going to be a good year for new streaming services. Of the 4 streaming apps we subscribe to this one is securely in 3rd place and falling. Before all the Netflix Originals were replacing good and more older shows it was a great app. It had many throwback shows that I still love to this day and it was in general a great app for me. Now they are taking off shows with no warning. I was watching Buffy the Vampire Slayer, when it was on Netflix, and I was really into it. Then I was on Snapchat and I had to find out from there that it was going to get taken off of the app. Why can’t they have a section for the shows they are going to take off, so we can at least know if a show we were going to watch is getting taken off and watch it quickly. And I’m very disappointed that they took off many of the older tv shows that were around when I was younger because now I have no where to watch them. Netflix is the only app I can use to watch shows, but now I have to either rewatch shows that are on there or watch Netflix originals that are a season long, on average, and have 10 20 minute episodes. WHY WOULD YOU REPLACE A SHOW THAT HAD MORE CONTENT FOR A SHOW THAT HAS 1 SEASON AND TAKES A YEAR TO PRODUCE ANOTHER ONE THAT IS JUST AS SHORT! Netflix is King of Stream!! I love that this is still the best value streaming service and the Netflix team hasn’t gone money hungry with the “pay extra for no ads” like their competitors have. EASILY.. the best and biggest selection for a cheap price. I dig the multiple profiles not just 2 or 3(new animations are cool and fresh btw). Even big families like my own can enjoy and have their own shows and movies the kids and adults would like to watch. 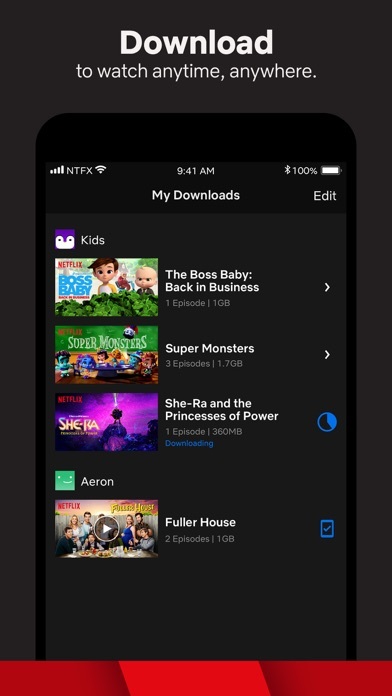 The app is so easy a toddler can navigate to their favorite children shows. 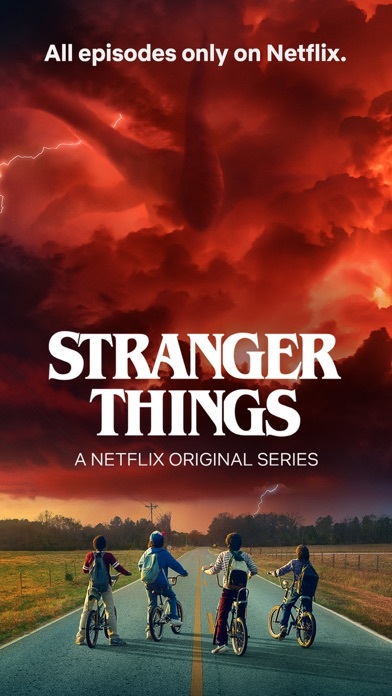 Thanks for Stranger Things, for adding the new Transformer film and the constant flow of Marvel blockbusters.. on top of having the Flash and Arrow among other DC comics television shows. Although I would ask that the team work on list alerts on when a show or movie will be removed soon.. especially when we have it on our list. I get disappointed when I plan to watch something and when I remember to, I’m too late as it has been removed from Netflix. Other than that, I believe this app is perfect. Why is it so difficult for you guys to add the option to read viewer written reviews which are available only through using the browser version of Netflix? At times it seems like Netflix has some type of agenda to limit the chances of any of their productions from getting any kind of negative or honest viewer feedback. And one of the biggest actions Netflix did to prove my point is making the ridiculous and obvious mistake of getting rid of the 5 star review system which helped fine tune which movies were recommended for us. Some of us like my entire family for example had each perfectly fine tuned the movie recommendation algorithm after working hard to submit honest ratings for every single Netflix streaming movie we'd watched for multiple years (since Netflix first started offering its streaming service). And then without even asking for its customers opinion on the matter it just gets rid of the entire rating system and implements the useless thumps up or down rating! If Netflix ends up falling from the heights it's reached it will only be because of their lack of common curtesy and respect towards its customers feedback. I was recently in Mexico for Christmas break and I was going through Netflix to see what I could add to my list so when I came back to the USA I had some new things to watch, to my surprise I found Naruto Shipudden and wolf children. I was surprise to find these since I done plenty of search before and never came across them, but most importantly I was so excited to watch them. I wasn’t made aware that when I cross the border they would be gone from my device. It’s almost a shame I was starting to love Netflix but finding out that what I want to watch differs from country too country it’s not worth the price I’m paying since I run the risk of going to another country where if I choose to take my list of Netflix to watch over there in my spare time I run the risk of my show or movie disappearing from my device. The whole “it’s about location, popularity, and purchasing rights.” Shouldn’t fall under what people are paying in order to watch what they want, people are unique and they watch different shows, I thought the viewer was more important than the location and the popularity of a specific show or movie. So when got this app love it. I could finds my shows,I could go to different episodes or find a new show. I liked it a lot but then there was a slight problem. When someone else is watching the the same show and he or she goes to a different episode. That I was not on it go’s to my iPad. I was thinking maybe they were going on my account but then they told me they didn’t so hella confused😯🤨🤔. And sometimes when I have headphones it will turn up the sound and I want to see if it works on any other app no it does not😑👌. But there is a bright side it will let me download videos like if someone’s driving and I’m in the car going to my aunts that is in Massachusetts I could watch my videos with no Wi-Fi. But then the bright side Kinda turns into a dark-ish side😞😔😕. Someone would download way too much episodes and hide it then I can’t delete it. I will try downloading one of my videos then he will tell me 🥴there was too much videos downloaded delete some videos🥴 like seriously 😒 well that’s my review bye! Netflix is great-for the most part, but there are some things it needs to work on... a.) It needs a ‘Forward 10 seconds (or 20) as well as having the ‘rewind 10 seconds’ button in the iOS app. Many times I switch from TV to my iPhone, & for whatever reason, it hasn’t caught up to where I left off on the TV. I’d like to be able to hit a ‘skip 20 seconds’ button so I can get to exactly where I left off (the scroller is just too small & inaccurate..). b.) The fact that Netflix discontinues shows/movies is a big negative. I hear this complaint - a LOT. 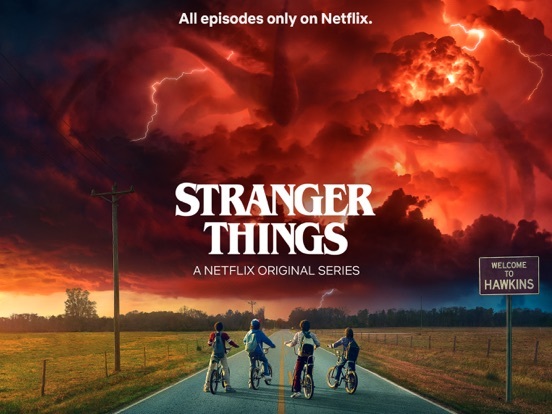 Netflix, if you’re going to continue raising your prices, you need to keep shows on either INDEFINITELY (especially POPULAR shows), or give us a clear warning as to WHEN IT WILL BE LOST! This is a BIG pain. In he iPhone app, you don’t have that. c.) I agree with other users’ complaints that you need to stop the automatic (loud) content ads, or give us the option to turn the audio OFF on them. Who needs that? Every scroll to another show creates a new blaring ad for the show I’ve accidentally scrolled to. Please stop.. Other than that... etc. Unfair of me to write this here but Netflix offers no way at browser to offer product feedback (vs a call or chat initiation) and I know others are feeling the same. 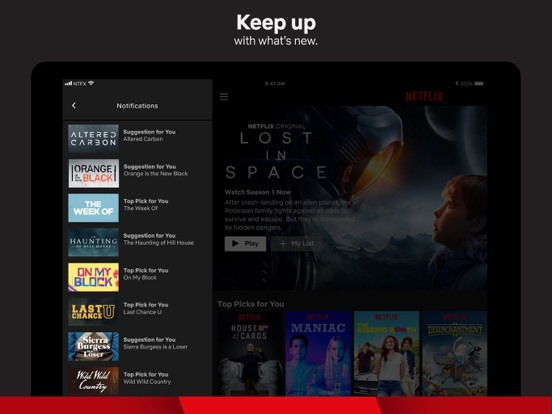 The new feature where Netflix begins auto playing a show if you hover above it on home screen for 3 seconds while trying to browse (on various applications such as Roku) has destroyed the experience. It creates “noise” literally and figuratively and weird urgency. Many want to browse, actually peruse and think. The auto preview feature creates a rushed and intrusive experience. Muting is only option but so distracting. Clearly they aren’t listening to customers because similar posts are all over web (including the fact many may have children in room while scrolling and some of noise/violence is unexpected. Ruining the integrated Netflix experience between apps. No setting at all to disable and *no this isn’t same as auto play or auto preview at END of watching show* but is part of home screen experience. No other complaints about Netflix, at all. Great and all, but is it? I have loved Netflix ever since it was created. And when I was introduced to Netflix, It was outstanding! But the one thing I have seen in reviews was, “ it needs more shows” , or “ shows are being token off Netflix”. And even though I love it, I have to agree with the people. Even my little brother understands ( and he’s a Netflix person.) ! My brother loves Sonic, for example, and I know there is the new series on Boomerang or Cartoon Network, called “ Sonic Boom” , and that’s when I realized, why isn’t the new series on Netflix? Also why aren’t you adding more seasons to series as well? My brother used to like Lego Ninjago and I know they have like a season 6, 7, 8 etc. , so why not put that on, for instance? And please don’t take away any old shows or movies that other reviewers have talked about! I love Netflix, and others do too. So why not do what they want? Having all the episodes everyone loved! It’s a great app and all, so I suggest having it, but my suggestion should be heard! Some things DO NEED to be changed eventually, and I think of this as one thing to be changed. • I sometimes watch shows thinking that it'll be interesting, but turns out, it's quite boring! I wish there was an option where you can remove a show/movie from the "continue watching" section. It's annoying! •Whenever you finish watching a movie or show, it sticks around in the 'continue watching' section. It says "watch again". I wish that when you finish watching a movie it will just disappear rather than linger around. • There should be a star rating option. People could rate it like I'm doing now for this app. It should be a 5 or 10 star system. •Lastly, this happens when I'm watching Netflix on my TV. An episode has gotten to the credits and the next episode will come on after FIVE seconds! I'm trying to look for the remote to go to another show or turn of the TV, but no, the next episode has already started! However, I've only noticed that this is on Netflix originals, I don't know if this is a coincidence or purposefully done to keep viewers watching a show. To remove a show or movie because it offends someone is ridiculous! There are several choices that you have that "offend" me, know what I do about it? I don't watch it. I know, it's crazy thinking but seriously??? I love Netflix and it's choices. It's opened my world to new genres that I wouldn't have normally paid any attention to. Who knew it would be so much fun to watch British bakers? The app itself is fine but I do have a few things I would like to see changed. Please give us control over the continue watching section. Twice when I watched the last show of a series, a new series that I didn't choose (change number 2, don't automatically start a new anything other than a trailer) started automatically and now I can't get it off of of the list. I've tried fast forwarding to the end and that didn't work. Make it go away!!! Change three, bring back the ratings. I'm pretty happy with Netflix overall. Thank you for restoring descriptions! I've changed my rating to 4 stars, as you've restored descriptions to the app. It's so much easier to tell if something would be interesting to me! So many more new things added to my list now. It's still only 4 stars instead of 5, for 2 reasons: 1) It's still buggy/laggy. There are times that, for no discernible reason, I try to load a show - or even just hit the "10 seconds back" button - and it never, ever loads. I often have to quit the app and restart it and, in extreme cases, switch off the iPad and restart it. This should be a rare-if-ever occurrence, not a fairly common one. 2) I, like many other commenters, preferred the "star" rating system - both because of my own reactions to various films/shows, but also for the algorithm it used: I could look at how a show was rated by others, and get a pretty good idea of whether or not it would be worth my time to check out. Since moving to "thumbs up/thumbs down", not only do I not bother to rate any movie I don't specifically love, but I have no idea what algorithm it's using to determine whether or not I'd like it. It's usually pretty off in its estimates now anyway; I'm guessing it makes assumptions based on categories or something? Overall, the app is decent. 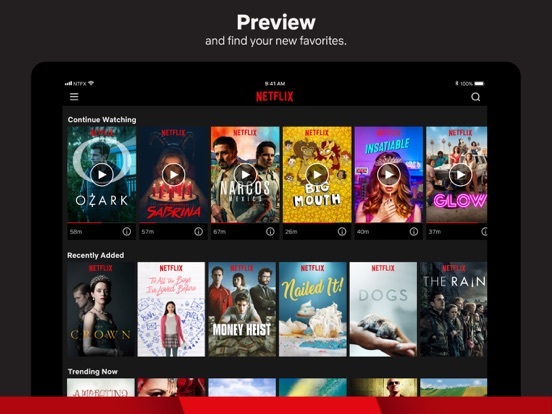 Its algorithms are weird, and it can be hard to know what Netflix has to offer without specifically searching for it as it doctors its display to what it thinks I want to see, but the app is mostly functional. You guys have to change the review on the actual app like the comment above me said you can only do thumbs up and thumbs down that is not good at all. What if I think the movie is OK or just want to be able to expand on my review not just thumbs up or thumbs down. And besides that I love Netflix. I wish they wereAnd more variety of movies. Overall I have no problem with that flicks except the price went up two dollars. Keep it up and please change the review thumbs up thumbs down option. Make it a star like this and you can write something. I actually liked when you had that little anime animation where they would help you browse and you would just pick adventure and it would go through a bunch of movies and you would select them that was cool. I hope wish they bring that back I forgot what it was called that it would start talking to you and asking you what you liked and what not. I love the format of the app. Every aspect is meticulously put just to make you have a better time. However, I have two issues. First, the movies. There are many movies that I see in which are unavailable in my country or have been removed and only available in other countries. I think this is a problem. For example, White Chicks. I had been looking forward to rewatching White Chicks, but then I had seen it was removed. I hope that they don’t remove these from our country anymore because I really enjoyed some shows that had used to be there but are not now. The second is not a big issue, but I believe it is something the people of Netflix can fix easily. Why is there only a way to move back instead of forward. It takes me a painful time to go and try to move forward a little. Instead, it just skips a minute when I only wanted to go 20 seconds ahead. I hope that the Netflix people consider some of my proposals in this review. I love Netflix period. I wouldn’t know what to do with out it. My kids watch Netflix more then the tv stations!! I only have 2 complaints about the mobile app. #1 i wish you would put back the part where when you click on a show/movie it would tell you what its about instead of “tags” that the show would fall under while searching around for something to watch in that category you picked. #2 i reallllllllyyyyyyy wish you guys would make it so you can fast forward when your watching something. Like if something popped up you didnt want to see you could hurry and fast forward through it on the mobile app. Other then that i dont have any problems. I really do love Netflix. Ive had it for 4 years and id NEVER get rid of it and i tell people constantly to get Netflix. But please fix those 2 things and i think it would be a full 5 star rating. If I could do more then 5 i would once those get fixed. 😊 thankyou! Easily 4 1/2 stars! First... Please bring some of those television networks biggest hits back again. Some weren’t out there long enough to enjoy all of the seasons. (I am rather new to the binge-watching craze.) Why isn’t there the option to “binge watch” for a set number of “continuous hours”, similar to other networks or even a “sleep timer” option? If I binge-watch a “half-hour episode” (which are really only about 20 minutes, at best, for network television), I am only allowed “3” episodes on a Roku and BlueRay, before Netflix asks; “Are you still watching?” That is only about an hour of binge-watching! Even less if you watch episodes from a WiFi-tablet, cellular phone or home computer. To search for a remote or to keep clicking “Yes, I am STILL here!” on every single episode no matter what you choose to watch on. It is a rather trivial request, I know. ...But really, those are my biggest complaints. Other than those; Netflix is 5* stars!!!!! 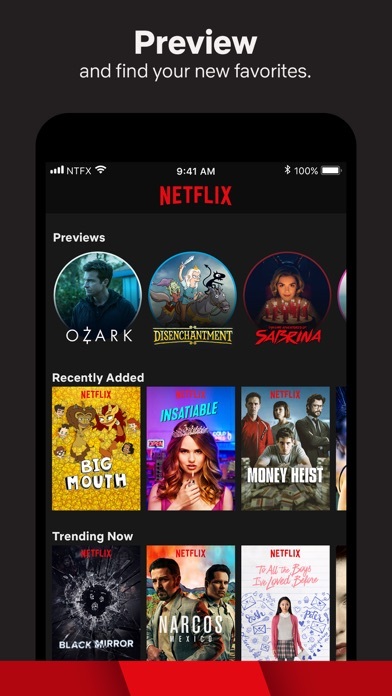 Why, may I ask, does Netflix seem to think it's users so incompetent, that it must annoyingly play movies without the user even clicking play when we open a movie menu, why do the cancerous preview loops play completely without our control or consent, why have all the facets of the app become gradually more and more "intuitive"? Which is a misnomer, made in our time to only mean incredibly babying. As I don't wish this review to become so prolix as to hinder someone's reading of it, my final complaint will be with Netflix's "original content," and to that all I can say, is whom ever let their child in the animation studio, however proud they are of their child, has no right to torment us with the child's hideous scribblings. Where is the fidelity to great animation and literary excellence anymore!? And don't just tell me not to watch them then, for you can be reassured that I do not, I'm just afraid that if we allow this sub par material, we will soon notice that sub par has become the new standard. It's been happening for years, I'm sure because sub par is cheaper to make, and if we are sold on it as par standard we'll eat it up. Okay. Let me clarify. I don’t hate the app. I’m love it, I use it all the time and I’m in love with the new download & go feature. That is amazing. My problem with Netflix now is, they are taking away a lot of shows that I freaking watched, over and over and over again. They have taken away American Dad, The Cleveland Show, and Bob’s Burgers, And now they are starting to take away Family Guy. I have watched everyone of those shows at least 23x each. ( Yes I have a problem ) and now that just took them away. They also took away my childhood shows too, like 6Teen, Invader Zim, And Crowder.. I understand that you need to make some space for new stuff.. but you could still make space and leave stuff on there, you should just clean out all the shows that are Netflix Originals that got canceled. Or clean out the stuff that no one watches. But hey, I still love using Netflix, I’ll never stop using it, it’s just a small issue that I have. 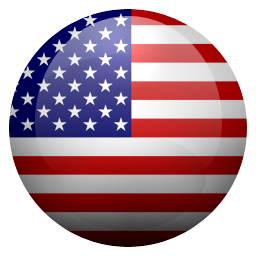 The app works great and is updated without issues very regularly. My problems with it are that the suggestions seem to be more what Netflix wants me to see rather than what I would like to see. There is also NO WAY to tell the app to "never clutter up my screen with this title again!" I’ve seen it. I hated it, yet it persists. There are certain actors I will never watch, no way to tell Netflix to stop cluttering the screen with these things either. It is very frustrating to have to go through the same set of dreary offerings all the time. They use some sort of scoring to guess what I may like, how about letting me tell you exactly what I do not like to help hone the suggestions? Clear the clutter I hate and maybe I’ll see something from the tens of thousands of possibilities that I might not have seen before! PLEASE! Also, no way to make an app feature request inside the app either as far as I can tell. Seems like they are missing an opportunity there as well. As someone who’s been with Netflix since I was getting DVDs in the mail, ALL I’ve been waiting for is a way to filter/organize/ alphabetize MY LIST. I don’t need random shuffling orders or 300+ added items to scroll through. I just need to separate TV shows from movies because I’ll probably fall asleep in an hour or just add new things to my list. Or have them organized by category. Sometimes I’m in the mood for a mystery. Sometimes I want a comedy. Sometimes I had coffee and want to try and binge 50 episodes of a Korean drama in a weekend... sometimes I want to put my phone down and pay attention to subtitles. And maybe too much to ask, but the majority of my ratings are 3 stars because they’re “meh”. Neither thumbs up or thumbs down. Is there like a sideways thumb rating...? Cuz otherwise I don’t rate anymore. I have more ideas- ability to post what you’re watching/ share/discuss what episode you’re on with others without spoiling anything because you know they watched it too? I don’t see how Netflix could get any better except maybe y’all could add a “suggestion box”? It would be a good way me and every other Netflix user out there to say what movies/tv shows we want because there are tons of stuff I can’t find anywhere and I don’t want to pay $20 for a 10 episode tv show that looks interesting. Also I would love it if y’all added Dragons: riders of berk, dragons: defenders of berk, and how to train your dragon 2. I know y’all used to have the first two and probably removed them because no one watched them but with how to train your dragon 3 coming out this summer lots of loyal Netflix users will be trying to watch them. So please consider adding those 3 movie/ shows and consider a “suggestion box”. Please!!! Also it would be nice if there was a watch later option so you don’t have to add something you want to watch to your list. The shows that are currently on Netflix meet my standards. Shameless, American Horror Story and Stranger Things are all great shows (to name a few.) But the generation I grew up in is missing a lot of our shows. Things from Disney Channel, Nickelodeon I mean y’all used to have Spongebob and where did it go? Not happy about that. So I’d definitely recommend adding more shows for teens, not just kids and adults. Also, the movies that are on Netflix are mostly garbage. Besides the category that spews a few classics that no one really bothers to watch, there’s no good movies. Horror movies aren’t scary, the documentaries are all about murderers or prison and the other strange assortment of movies are just... not good. I think y’all should let people pick from an assortment of movies and shows to stream: like they have the full list of things available to be delivered to your doorstep and be able to stream it instead... face it y’all gotta step up your game and doorstep movie delivery is a dying era.